Ailsby Collection: NSB Ten Years Service Badge. NSB Ten Years Service Badge - Obverse. NSB Ten Years Service Badge - Reverse. 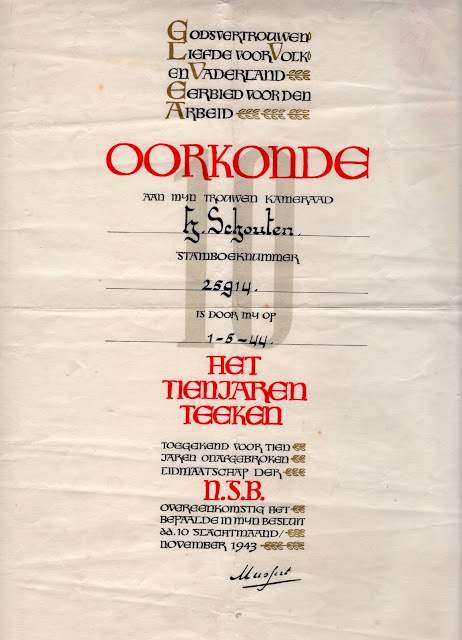 The Dutch NSB ('Nationaal Socialistische Beweging') 10 years Commemorative - Honorary ‘ribbon-bar’ was an award for 10 years’ service – Tienjarenteken. – This rare badge was authorised on 10th November 1943 to commemorate the 10 years existence of the NSB and were only bestowed in a very limited number. They were exclusively awarded to NSB party officials who had been a member of the Party for 10 years (and that was not a large group!). This ‘ribbon-bar’ comprises of a piece of medal ribbon on a bar. This measures 32 mm in length by 10 mm in height. 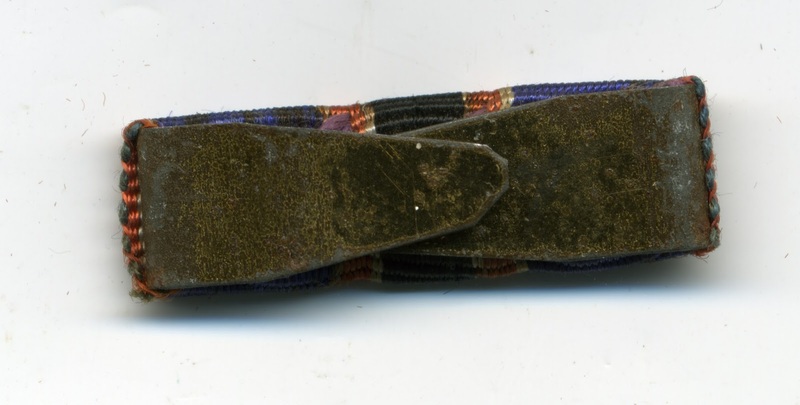 The ribbon is royal blue with a broad black central line bordered on either side by an orange strip. Each strip is the bordered by a thin white strip. 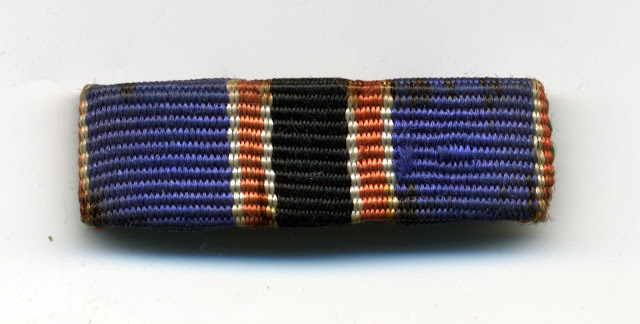 The outer edge of the ribbon on either side is bordered with a thin line of white and orange. The reverse has at either end a large prong that measures 20 mm that is folded to the centre. These would be used to push through the tunic to attach it. 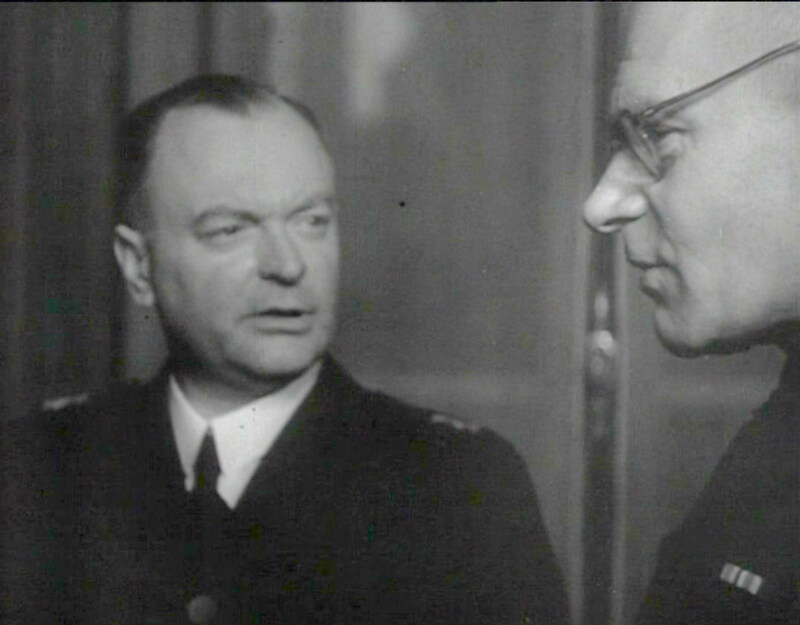 It is possible that Mussert intended that a medal should go with the ribbon, the medal itself to be issued at a latter date but that project never reached fruition. 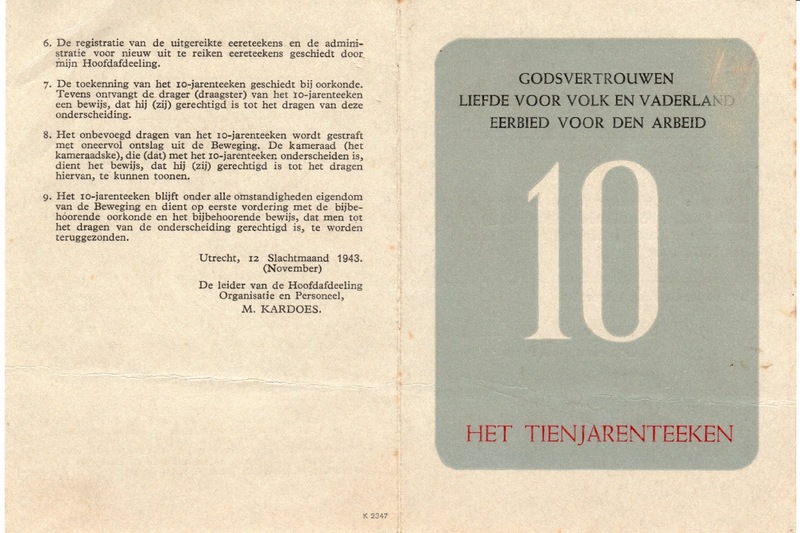 They came with a large-sized and very decorative award-document and a small grey card accompanied it. The card was to be proof of the awardees right to wear the award. NSB Ten Years Service Badge - Citation. Award Certificate for 10 years Service Badge of the NSB. who is invested by me on 1 May , 1944 with the 10 Years Badge which is awarded for 10 years unbroken membership of the NSB in accordance with my directive of 10th November, here both modern and old fashioned words, November and “Slactmaand” are used 1943. 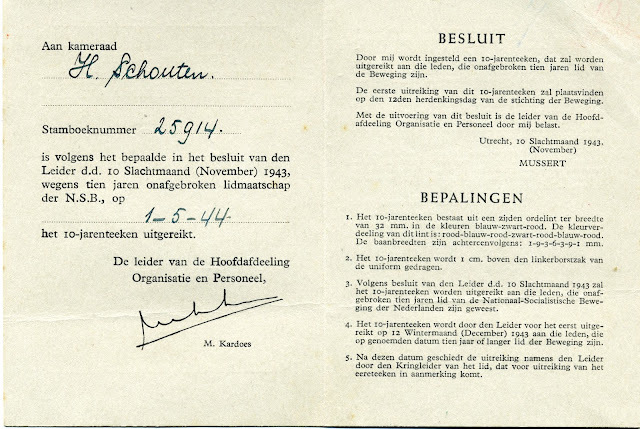 Award Certificate for 10 years Service Badge of the NSB - Obverse. 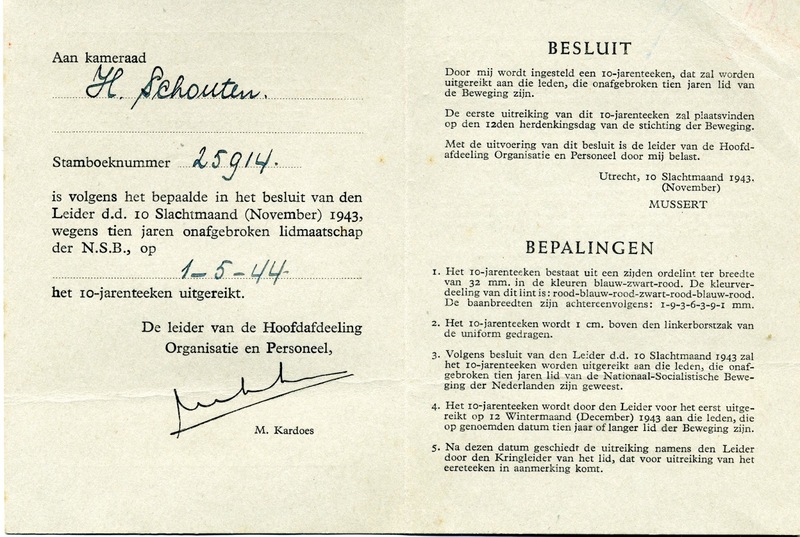 Award Certificate for 10 years Service Badge of the NSB - Reverse. Recipients of the NSB Ten Years Service Badge.